If you’re cooking a dish that calls for nutmeg and suddenly you find that you’re completely out of the spice, fear not you have a number of options as a nutmeg substitute. It’s never optimal to run out of an essential ingredient right as you’re cooking. Having to go right back out to the store when you’ve already begun cooking your dish isn’t something you want to do. You shouldn’t worry too much as it is possible to find a good substitute ingredient that can work just as well as nutmeg. If you’re in a pinch, allspice might be the easiest option for replacing the nutmeg. It’s a common spice that many people keep around in their kitchens so you’re likely to have access to it. It tastes similar enough to nutmeg that it should provide the same type of flavor for your dish even if it isn’t quite exact. You’ll be able to use the same amount of allspice that you would nutmeg as well. There are many recipes out there that call for both cloves and nutmeg. If you happen to have some ground cloves, it can work pretty decently as a nutmeg substitute. It can be a bit potent though, so you don’t need to use as much of these ground cloves as you would nutmeg. Around half of the amount called for in the recipe should suffice. Using a spice such as cinnamon is a great idea because it has a taste that is not unlike nutmeg. They’re both sweet, although cinnamon can be a bit more strong. Due to the strong taste of the cinnamon, it is advisable to use half of the amount called for in the recipe. You can also spice to taste as well if you find that you’d like it to be a bit stronger. 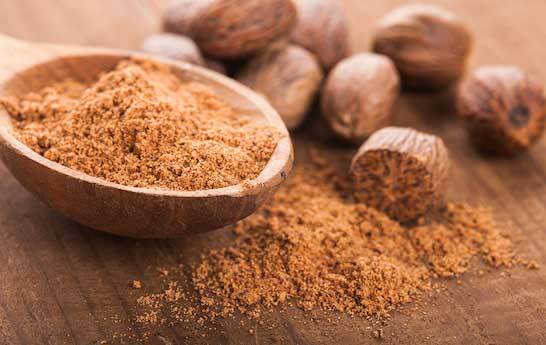 Overall, mace is one of the most popular substitutes for nutmeg. They’re actually very closely related because it comes from the nutmeg before it was harvested. Given this information, you can understand how it would work well as a substitute. The flavors it exhibits are remarkably similar to what you’re looking for. The problem with this option is that you might not have it around your home. It isn’t as common in many kitchens as most of the other options presented here. Even still, if you do happen to have some mace in your home, use it in place of the nutmeg and your dish will turn out great. Pumpkin pie spice is an interesting option available to you. You might not have thought of using something such as this but it actually can work quite well. If you’ve had some of this sitting around since the holidays, you should know that this actually contains some nutmeg. It’s a blend of nutmeg, allspice, cinnamon, and ginger. You can use the same amount called for in the recipe. Overall, because this contains nutmeg, it would probably be the most highly recommended replacement for just plain nutmeg. If you have some in your kitchen, you shouldn’t be shy about using it. It will replicate the taste you’re looking for brilliantly.